The calendar has flipped to May...which means Summer is quickly approaching here in Central Texas. It also means it's time for another edition of Wendy's Great Eight! 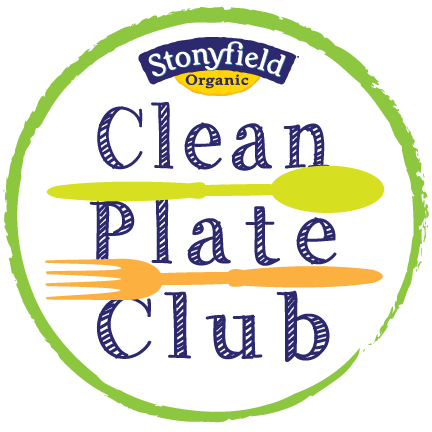 This month features better-for-you treats and snacks, olive oil infused with butter flavor, ready-to-use flatbread dough that will make you a pizza chef in your kitchen...and more! 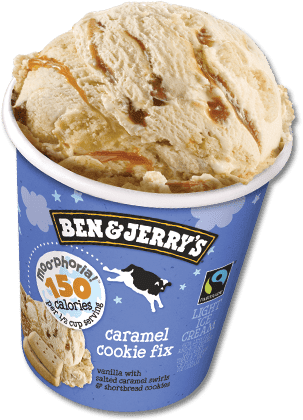 (1) Ben & Jerry's Moo-phoria Light Ice Cream. Ice cream lovers rejoice! Ben & Jerry's is offering a new ice cream line called Moo-phoria -- which contains less fat and calories than their traditional ice cream flavors. Each 1/2-cup serving of Moo-phoria contains approximately 60-70% less fat and just 14o to 160 calories. Moo-phoria is made with organic dairy, a reduced amount of natural sugar, and non-GMO sourced ingredients. The line currently has three decadent flavors: Chocolate Milk & Cookies, Caramel Cookie Fix, and P.B. dough. My personal favorite is the Caramel Cookie Fix -- which features low-fat vanilla ice cream, shortbread cookies, and a salted caramel swirl. The one caveat for Moo-phoria is that you need to make sure you limit yourself to one 1/2-cup serving -- and not the entire four-serving pint. Moo-phoria can be found in the freezer section of major retailers nationwide, including Walmart and Target. (2) Tillamook Farmstyle Cut Shredded Cheese. Tillamook has long been a favorite cheese brand of mine. The flavor is so rich that I find I can use less of it in my cooking than other cheese brands -- saving me calories and fat. 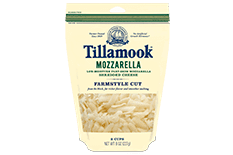 Tillamook recently reformulated their shredded cheese to Farmstyle Cut Shredded Cheese -- which is available in 10 varieties: Sharp Yellow Cheddar, Cheddar Jack, Mexican 4 Cheese, Mexican 2 Cheese, Sharp White Cheddar, Medium Yellow Cheddar, Triple Cheddar, Italian Blend, Mozzarella, and Colby Jack. Farmstyle Cut's thick shreds have a hearty texture that resembles hand-grated cheese. I love the way this cheese melts! I made homemade pizza with the Mozzarella -- it melted evenly and tasted great! Like every Tillamook product, Farmstyle Cut is made with milk from cows that aren't treated with artificial growth hormones. To find this amazing cheese near you, be sure to visit Tillamook's convenient online store locator. (3) Wewalka European Style Ready-to-Use Dough. I am the first to admit that I'm not much of a baker, but Wewalka refrigerated ready-to-use doughs help me make great appetizers, homemade pizza, pastries. They always bake evenly and have fantastic flavor and texture. Wewalka doughs are made with premium ingredients and contain zero artificial colors and flavors, high fructose corn syrup, hydrogenated oils, or bleached flour. I especially like that Wewalka products come conveniently wrapped around parchment paper -- simply place the dough on a cookie sheet, unroll, and top before baking. Wewalka doughs also freeze well -- simply thaw on the counter for about an hour before you're ready to bake. Wewalka carries a variety of doughs -- including Classic Pizza, Bistro Pizza, Puff Pastry, Danish Pastry, Flatbread Dough, and Pizza Crust. I love to use the Flatbread to create pizza at home -- which allows me to control the healthy toppings I use. The thin dough bakes up crispy, without being hard. To find Wewalka doughs near you, visit their handy online store locator -- which can be searched by specific dough product. (4) Potato Popchips Snacks. 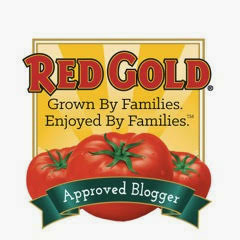 I am always on the lookout for healthier alternative to potato chips and other savory snacks. One of my favorite recent finds are Potato Popchips. These crunchy snacks are made from all-natural ingredients and are never fried. Potato Popchips are gluten free, and contain no artificial flavors or preservatives -- each 19-chip serving contains approximately 120 calories and 5 grams of fat. Potato Popchips come in eight great flavors: Sea Salt, Sweet Potato, Salt & Pepper, Sea Salt & Vinegar, Sour Cream & Onion, Barbeque, Crazy Hot, and Zesty Jalapeno Cheddar. 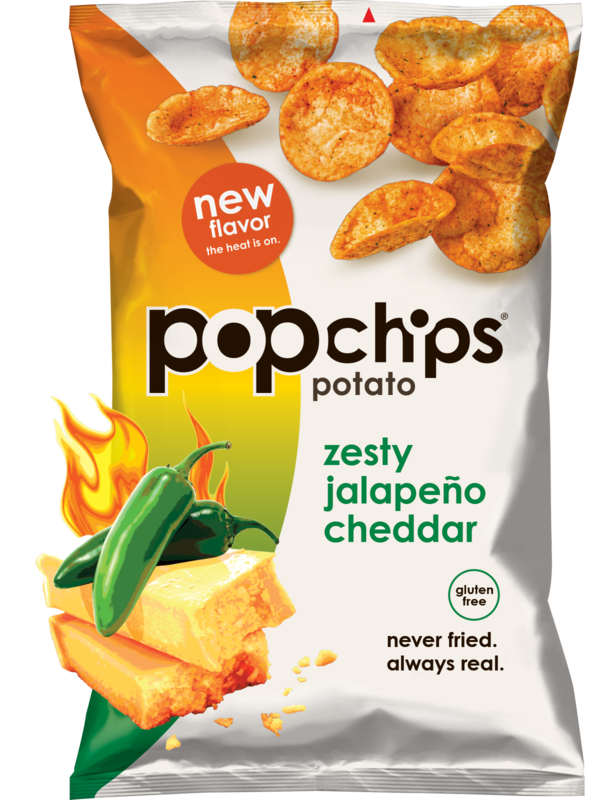 Every flavor I've tried has been delicious, but our personal favorite is the Jalapeno Cheddar -- which is cheesy and moderately spicy. 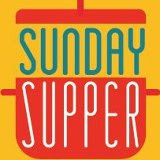 I especially love them served alongside a sandwich for lunch! 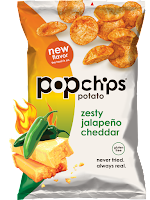 To find Potato Popchips near you, check out their online store locator. 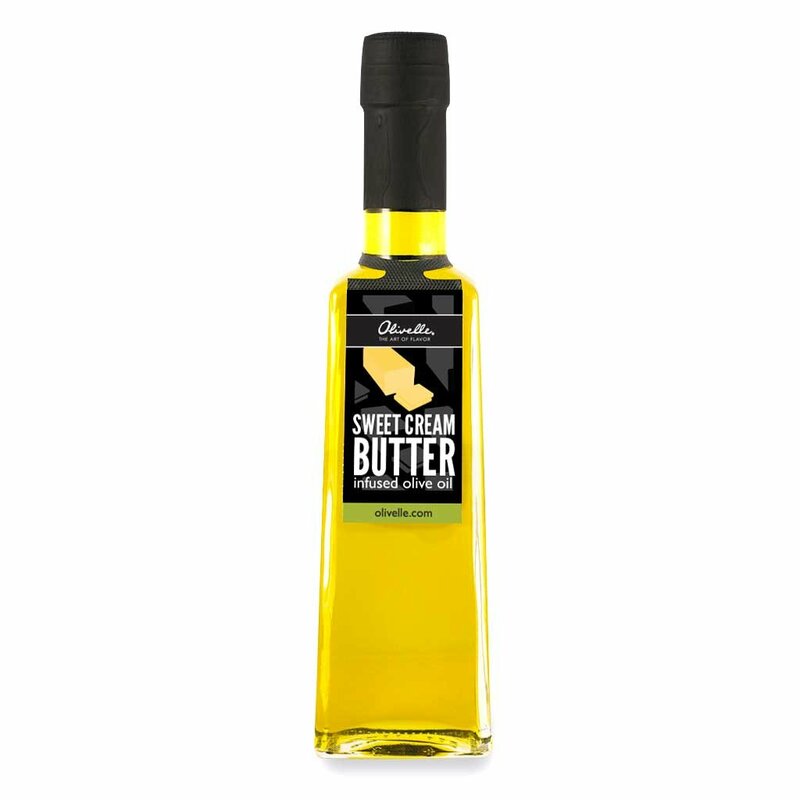 (5) Olivelle Sweet Cream Butter Olive Oil. One of my favorite artisan olive oil companies is Montana-based Olivelle. They offer a wide range of amazing flavored balsamic vinegars and flavor-infused olive oils. I recently tried Olivelle's Sweet Cream Butter Olive Oil, and I'm totally loving it! This oil contains just two ingredients: extra virgin olive oil and natural butter flavor. I'm trying to reduce saturated fats in my diet, so I've reduced my intake of butter. This amazing olive oil lets me enjoy the flavor of butter without the saturated fat. 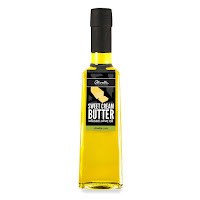 Olivelle's Sweet Cream Butter olive oil is perfect for sautéing -- and it makes an AMAZING dip for toasted French bread when a bit of garlic and herbs are added. This -- and all flavors of Olivelle olive oils -- can be purchased via their online store. (6) Halo Top Ice Cream. Are you a fan of eating an entire pint of ice cream once you take it from the freezer...but wish you could indulge guilt free? Then you need Halo Top ice cream in your life this Summer! Halo Top comes in tons of great flavors -- both dairy and non-dairy made with coconut milk -- and has just 280-360 calories for an entire pint! Halo Top ice creams contain just 2 grams of fat per serving and are sweetened with a blend of stevia and fruit-based erythritol...and 20 grams of filling protein! Some of my favorite flavors are Oatmeal Cookie, Peanut Butter Cup, and Sea Salt Caramel. To best enjoy Halo Top ice cream, I take it out of the freezer 15-20 minutes before I plan to eat it. This gives the pint time to reach an ideal spoonable consistency. 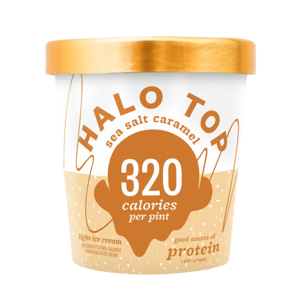 To search for Halo Top near you -- by flavor -- check out their handy store locator. (7) Manna Organics Nut Butter. My love of peanut butter goes back for decades! As an adult, I've discovered I love all nut butters. I recently tried a trio of flavors from Manna Organics. 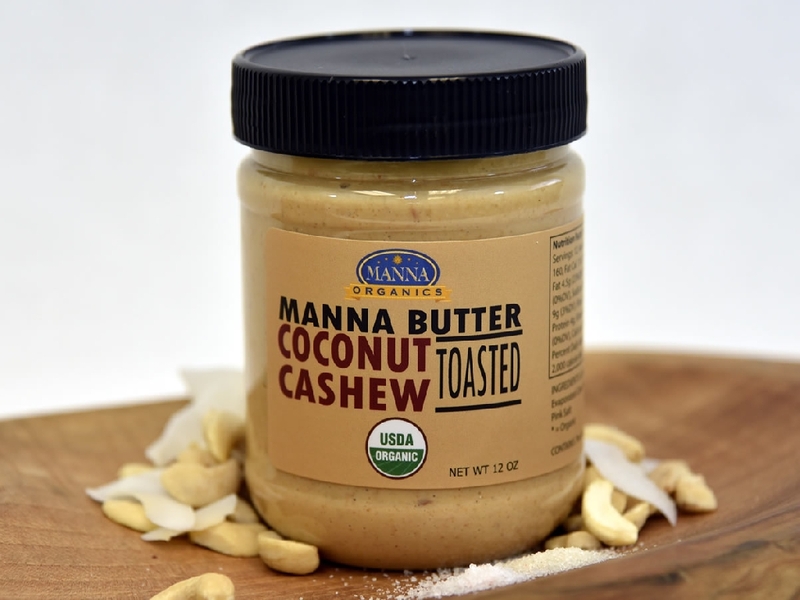 These flavorful nut butters are made by hand in small batches. They're also organic certified, vegan, Kosher certified, and non-GMO. I recently tried their Roasted Dark Chocolate, Sprouted Cinnamon Date, and Toasted Coconut Cashew. All three were fabulous and contain only a handful of natural ingredients. My personal favorite is the tropical-inspired Toasted Coconut Cashew butter. It's creamy, with flecks of dried coconut. I love it swirled into vanilla Greek yogurt...or spread on a toasted English muffin. Manna Organics product can be purchased online. to reduce the amount of sugar that I eat, but I freely admit I have a sweet tooth (or two...or three). I am also trying to reduce my intake of artificial sweeteners, which can definitely cause a dilemma. I recently started using Swerve sweetener. 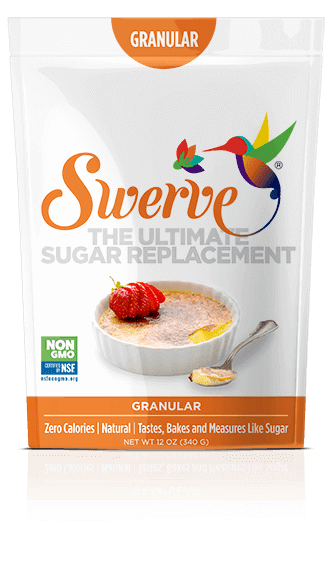 For maximum flexibility, Swerve comes in granulated and powdered varieties. It's made from ingredients found in certain fruits and starchy root vegetables -- no artificial ingredients. Swerve has zero calories, is non-glycemic, and measures equally to sugar for baking! I used Swerve granulated in place of sugar in a homemade brownie recipe. The end result was more cakey than the recipe's usual fudgy texture, but the taste was spot on. Next, I plan to try Swerve in a cookie recipe. To find Swerve at a store near year, check out their convenient online store locator. 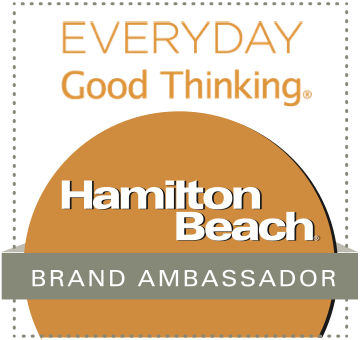 Disclosure: The companies whose products are featured in Wendy's Great Eight provided me with sample products to facilitate inclusion. However, The Weekend Gourmet only recommends products to my readers and social media followers that I have personally tasted/used in my kitchen and enjoyed.